Branding Made Personal: 3 Steps to Building a Stellar Personal Brand – Infinity Marketing – The Small Business Marketing Specialists! I know we have had a handful of blogs about branding, but this is what we do and this blog here by, Karen Leland, is great and has a lot more information on what it takes to have a great brand! Â So please check it out, I think you all will get a lot out of this blog! Every business owner knows their company needs a unique combination of message, name, reputation and look that positions them as a brand. But it’s also critical for entrepreneurs to have a personal brand, which is built from the talents, commitment and energy you bring to the table. A robust personal brand is not simply a great elevator speech, snappy clothing and a social media presence. It’s a way to give your business a competitive advantage. 1. A powerful physical presence. This includes anything a potential customer can actually lay eyes on from how you dress to your marketing collateral — business cards, brochures and your website. For example, I had a dentist who specialized in a particular cosmetic procedure call me for a marketing consultation. He was perplexed as to why another dentist out of the area was getting a larger share of his local market. Of all the branding and marketing mistakes I see entrepreneurs make, not having an up-to-date, modern, well-branded, easy-to-navigate website is one of the biggest. Does the physical aspect of your personal brand — your website in particular — match the quality of who you are and the work you do? What are the services or proprietary processes you offer that set you apart from your competitors? What is your unique branding proposition, not in terms of what you do, but how you do what you do? What unique opinions, points of view and even language do you use that sets you apart? 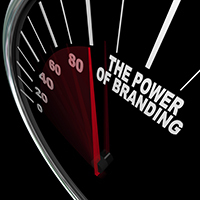 Often, it only takes a small tweak to get the intellectual expression of a brand on track. For example, I have one client who billed herself as a media coach. Clients hired her to media train them but resisted buying additional media strategy services from her. By simply reworking the language she used to describe her services to reflect both media coaching and strategy consulting, she instantly saw results and closed $25,000 worth of new business within a two-week period. 3. A lasting impact.Â In essence, this is where you speak to your clients’ hearts. In my experience working with entrepreneurs, it’s also the most overlooked aspect of personal brand. When you think back on what your past and current clients say about you, what is their experience of how you have affected them? What words and phrases have they used? Ask yourself: In what ways can I go beyond simply providing a service or product to enlivening my clients’ lives? Integrate this lasting impact into your marketing message.